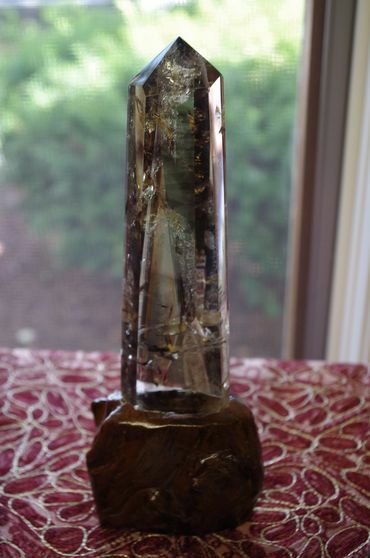 We carry over 50 types of stones, crystals, gemstones. We also offer jewelry, essential oils, diffusers, singing bowls, pendulums, Himalayan salt lamps and many other types of lamps, tarot card and oracle card sets, books, t-shirts, bags, pouches, etc. We also offer biomat treatments and counseling services by appointment. We will look for the items you can’t find and get them for you. We also have the only local black light section to show off the fluorescent rocks we also sell. With every purchase you get a free stone from the stone jar. Plus an intro 30 Minute Biomat Treatment is only $15 as opposed to the usual $30 for 30 minutes. We give veterans and individuals currently undergoing cancer treatment the discounted biomat rate all the time provided they can show proof. We want everyone to be able to afford what they need without going broke in the process. 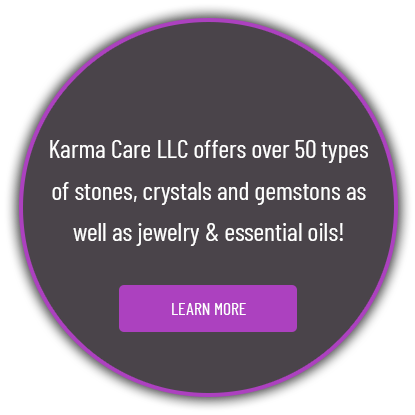 We believe in Karma and we Care… hence the name Karma Care LLC.